The Airway Meadows Benefit Tournament was originally set up in 2003 to help the son of a friend who had been in a three-wheeler accident and was suffering from brain trauma. He was only a young man of 18 years old. 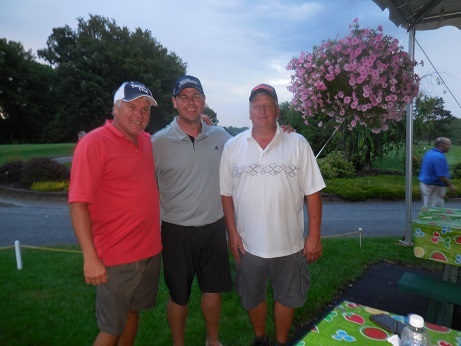 His uncle helped organize the tournament with then Superintendent Rob Fosmer. It was very successful with generous nice folks supporting the cause. Each year since we have held this tournament. 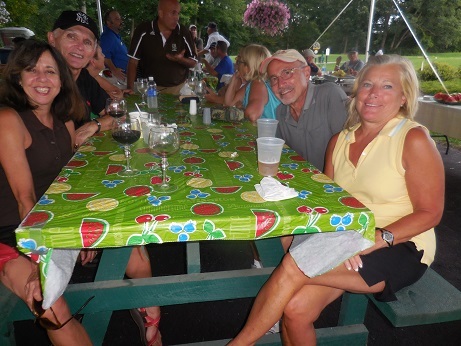 The golf tournament is a fun day with creative competitions, raffles and good fun. A silent turning live auction is held which always raises a large amount of money from the generous kind folks who play in the tournament and stay for the evening. Staff makes a special effort to help those less fortunate than themselves and donate part of their hard work and treasures to the recipient. Lots of basic BBQ food, beverages and fun is the plan for the day and no one goes homes disappointed, especially the recipient who gets to take care of some financial needs with the funds they are given. In 2009 the first 5k race was held before the golf tournament. It is a new tradition. They run or walk the front 9 of Airway Meadows and the funds also go to the recipient. This is organized and run by our nephew Mike Baxter. In 2004 we helped a part time employee with heart problems due to his excessive medical bills. In 2005 it was to support the Wounded Warrior Project who helps wounded soldiers with life experiences. Tyler Reed a local boy who is fighting lymphoma and other medical problems was the recipient in 2006. In 2007 we chose to help Christopher Ramsey a five year old fighting neuroblastoma. He lost his fight before the fundraising golf tournament but we sent the funds to his parents in his memory to help with the after shock and left over bills. In 2008 Lori and Corey Martin were the recipients. Corey is recovering and is in a wheel chair from the severe accident that took the life of her older sister Jessica. In 2009 the tournament was held in Memory of Tom Ellis. His family wanted to do a tournament in his memory so they chose the recipient and helped in a great way recruiting participants and getting donations. 2010 the recipient was Matt Carruthers who is a friend of the current Superintendent Jacob Heber. Matt's now fianc�` Liz wanted to do a golf tournament for him. We jumped in to help out and finished making it happen. It was held in memory of his uncles Dan Killian and Mike Nolan. It was the biggest Benefit Tournament to date. 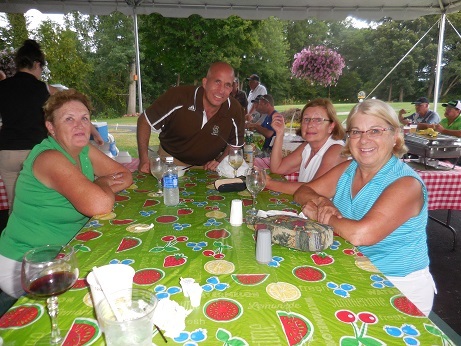 Being from such a large family Matt's mom Joanne Carruthers worked tirelessly getting golfers and donations. Matt was able to pay off all his medical bills and give the balance to Faith, Family and Friends, an organization formed to fight lung cancer that his uncle Mike Nolan helped found. 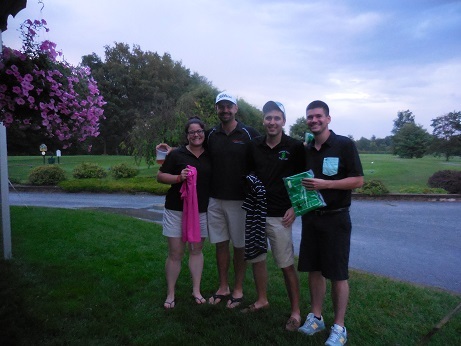 Airway Meadows Golf Course held its 12th Annual Benefit Tournament on Saturday, August 15th. The format was a 4-player scramble. 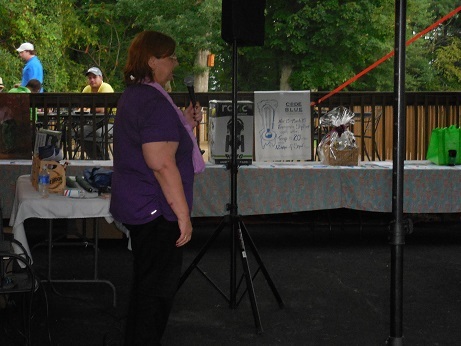 This year�s event was to benefit Code Blue of Saratoga Springs. Code Blue is a walk-in emergency homeless shelter in Saratoga Springs that offers a hot meal and a warm and safe place to sleep when temperatures in the city are below 20 degrees or there is significant snow fall. The shelter is currently housed at the Saratoga Salvation Army building at 27 Woodlawn Ave. It is supported by the city and community organizations, funded by donations and grants and staffed by volunteers. Through the generosity of all the participants we were able to raise over $6,000. Below are the top finishers in the event. Copyright 2009-2010� by Airway Meadows Golf Club. All rights reserved.